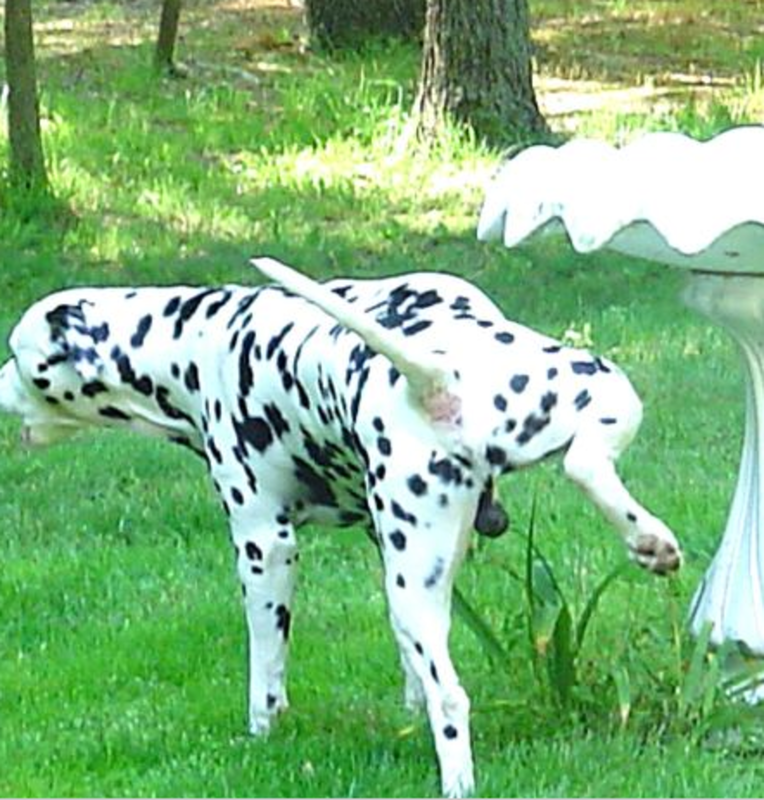 Peeing in dogs has been often referred to as being a sexually dimorphic behavior, meaning that there are differences in the urinary rituals based on gender. Male dogs are known for leg lifting, while females are mostly known for squatting. These differences are after all not too astounding since they’re also seen in human beings, with most males standing up in front of urinals and females sitting on the toilet. Talk about the effects of anatomical differences! There’s belief that leg lifting in male dogs must have evolved as a result of getting splashed too often with pee during elimination, but there’s likely more to that. 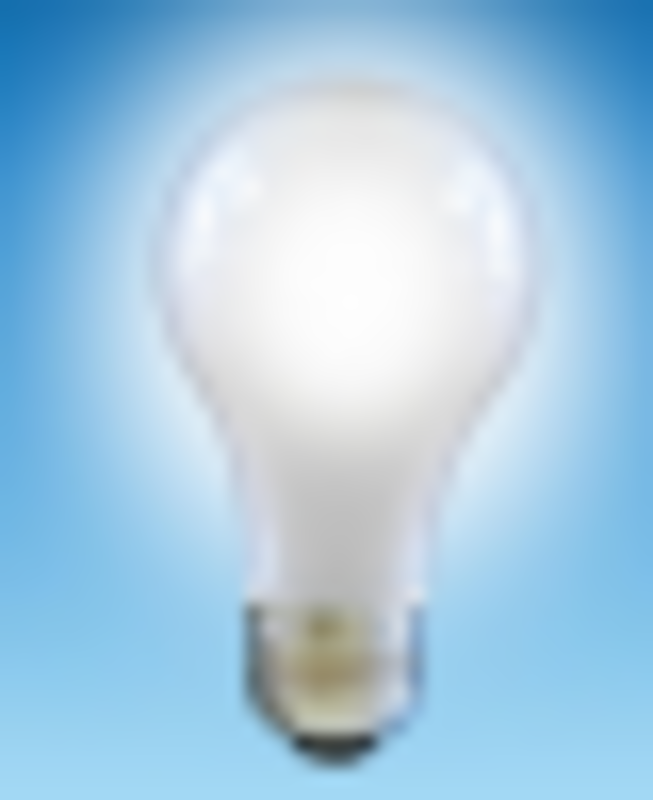 As with many things dog, oversimplification is often not the answer! Lifting the leg also offers the advantage of directing urine with precision on vertical surfaces so that scent can be left for other dogs to examine. Male dogs are therefore known for lifting their leg and urinating more frequently, precisely directing their urine towards specific locations, generally at a higher rate than female dogs. 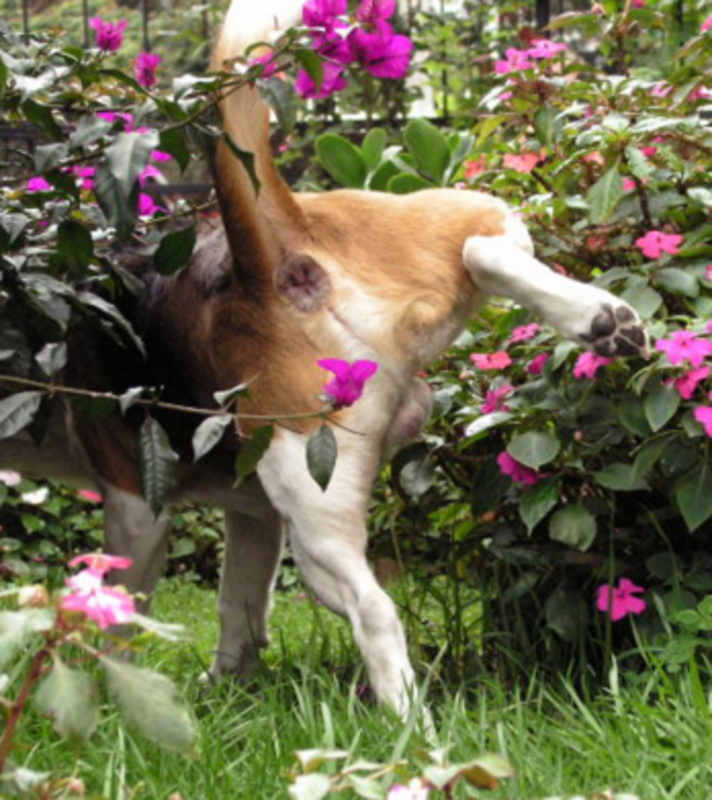 In the past, it was thought that female dogs urinated mostly just for elimination purposes, but turns out that research says that female dogs also tend to scent mark. In a study, six intact female Jack Russell terriers (not in heat) were watched as they urinated on walks and areas away from their homes. It was found that female dogs were more likely to urinate more frequently when away from their homes, and that upon urinating, their urine was often targeted to objects in the environment. This proved that female dogs are interested in scent marking as well, even when they are not in heat. And what about peeing postures? 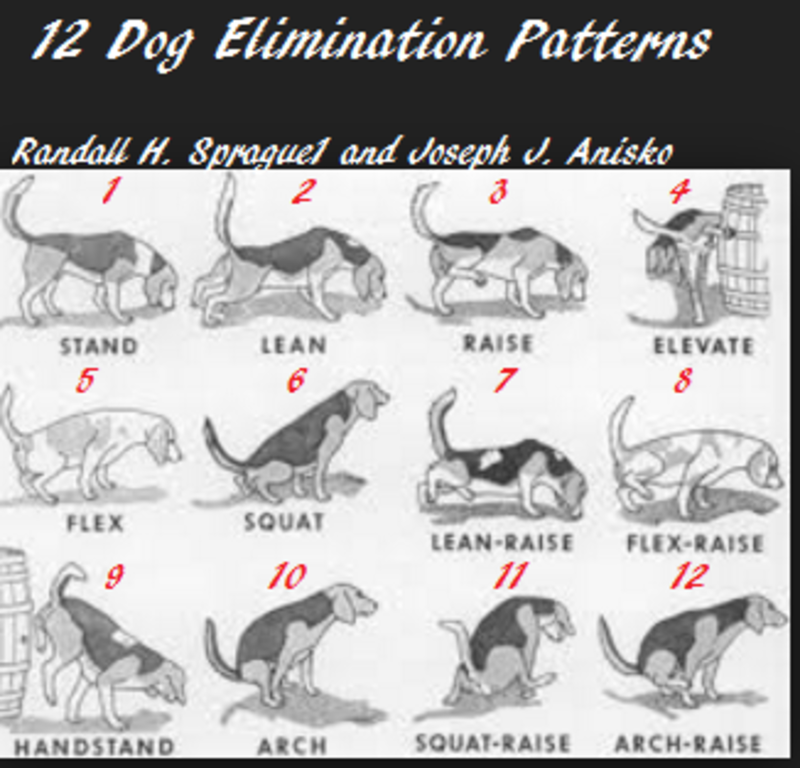 The most common peeing positions noted in the female dogs were the squat-raise posture, but in order of frequency, the squat, arch-raise, combination, and handstand postures were noted as well. In the world of dog behavior, you rarely can make black and white statements as there always seem to be exceptions to the rules. You may therefore stumble on male dogs who squat and female dogs who lift their legs, what gives? 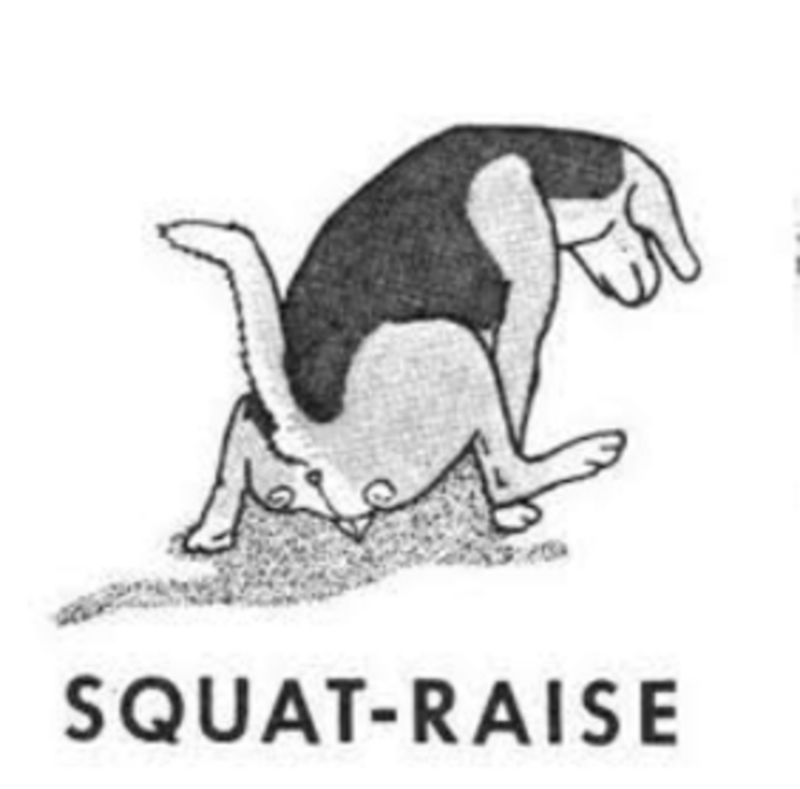 According to Scott & Fuller 1965, male dogs that were set apart from each other showed a higher incidence of squatting. The strongest trigger for leg lifting appeared to be sensing the odor from a dog that belonged to a different social group. Male dogs who have always leg lifted for the main part of their life and then suddenly out of the blue start squatting, should see the vet to rule out any medical problems. There are several female dogs who will lift their legs a slight bit when they urinate. Some may presume they do this to keep their leg out of the way from getting splashed, but more research is needed as to why some female dogs are more likely to lift their legs than simply squat. Most female dogs who lift their legs though tend to do it much less than male dogs. Female dogs who raise their legs as male dogs, may have been subjected to a phenomenon called “androgenization” explains Patricia McConnell. Basically, these masculine dogs were flushed with androgen in utero. These female dogs are more likely to display characteristics of males dogs in their behavior repertoire and that includes leg lifting.